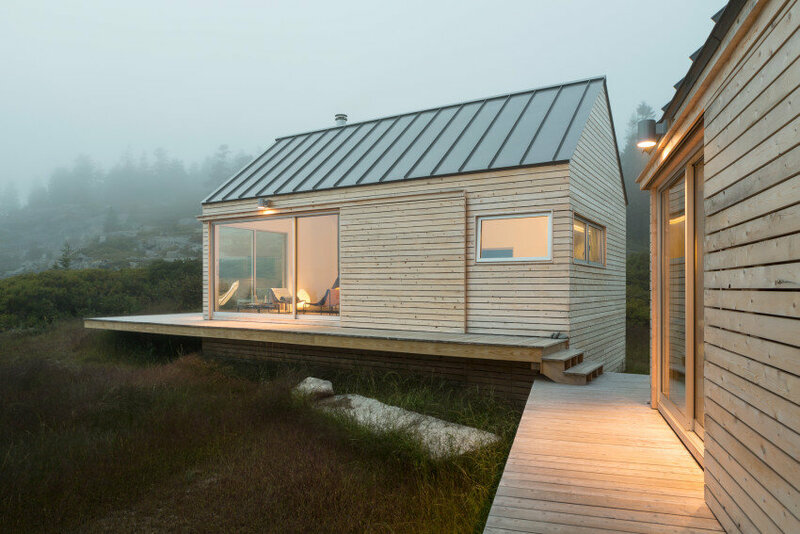 Little House On The Ferry is a summer retreat composed of a group of cabins designed by GO Logic in Vinalhaven, Maine, USA. 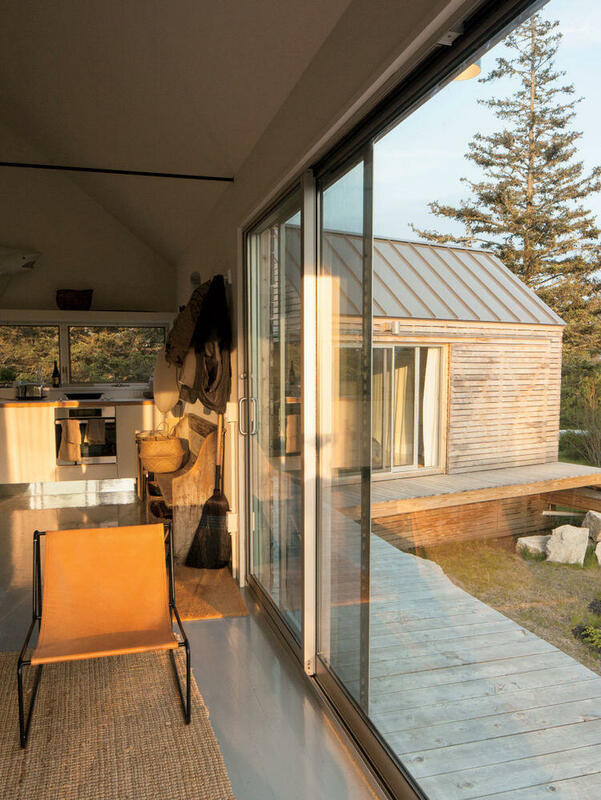 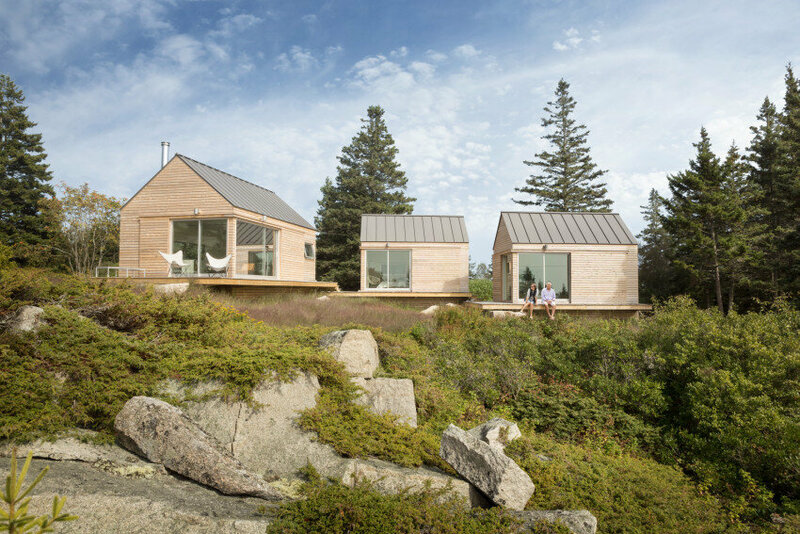 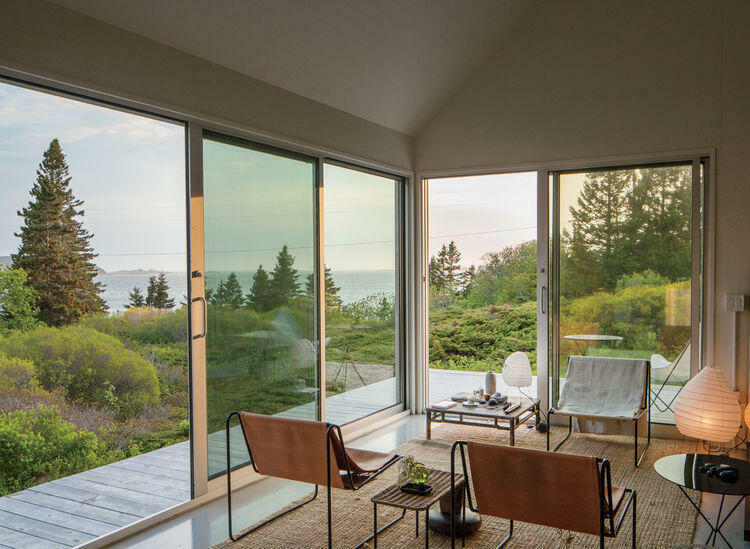 CLT’s were utilized as a construction solution for a seasonal residence that can be applied to remote locations, including the many beautiful and difficult-to-access islands off the coast of Maine. 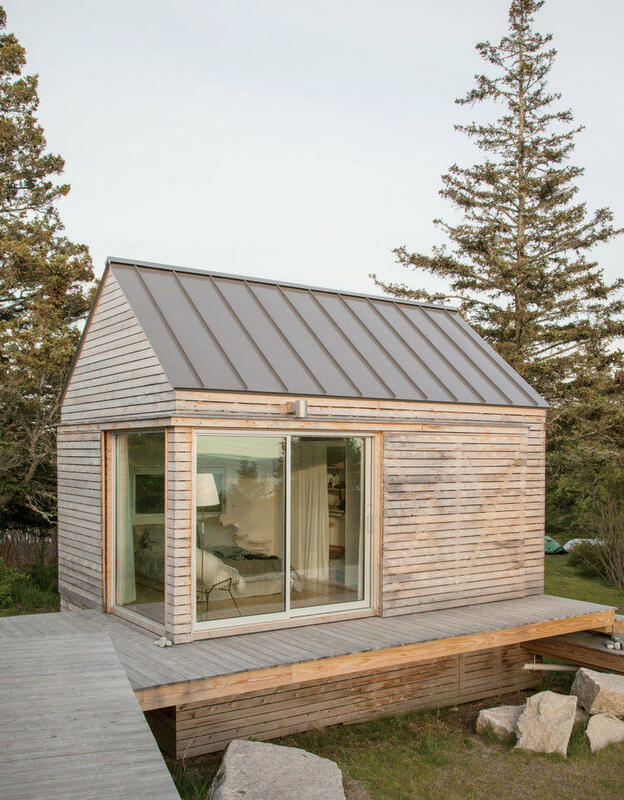 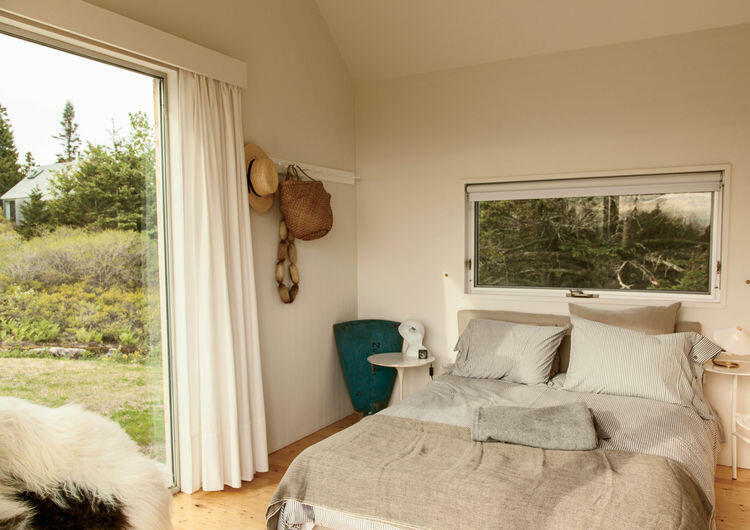 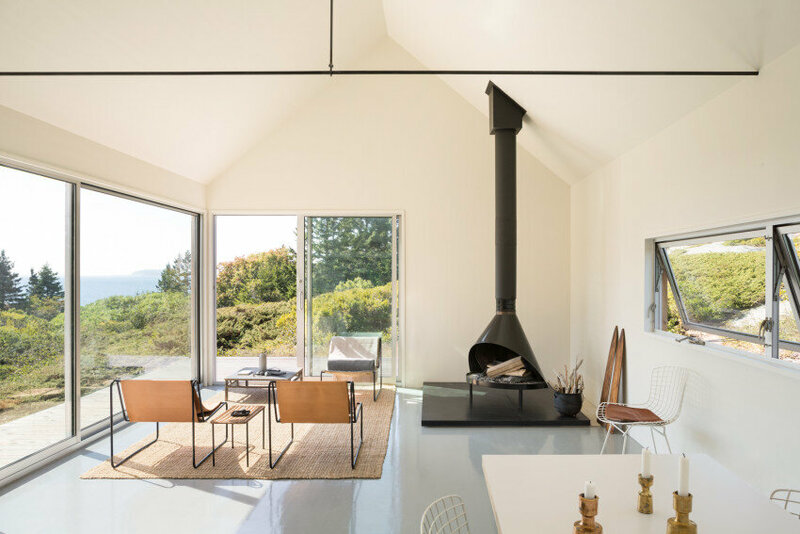 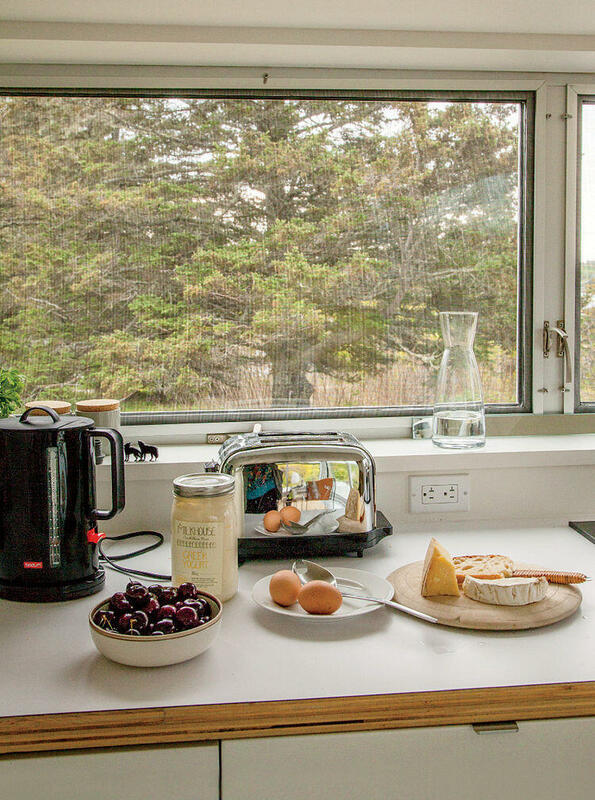 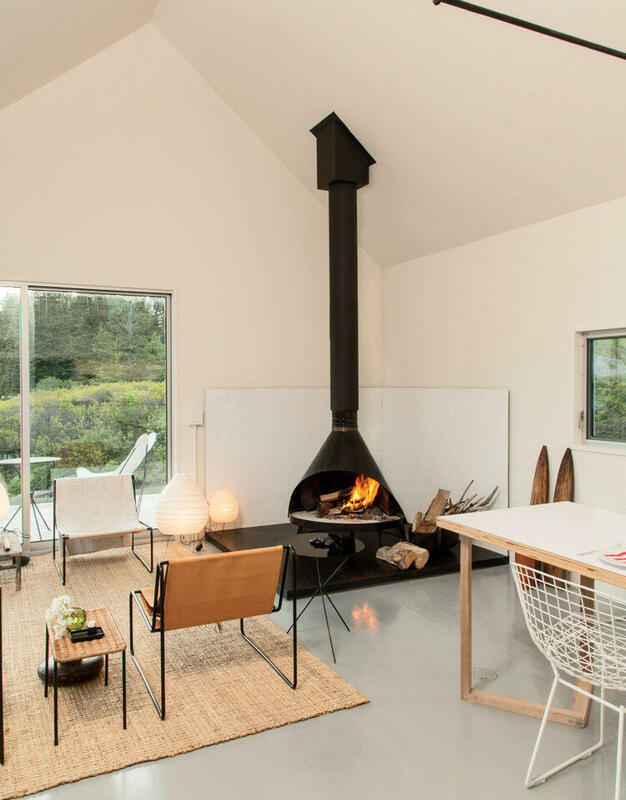 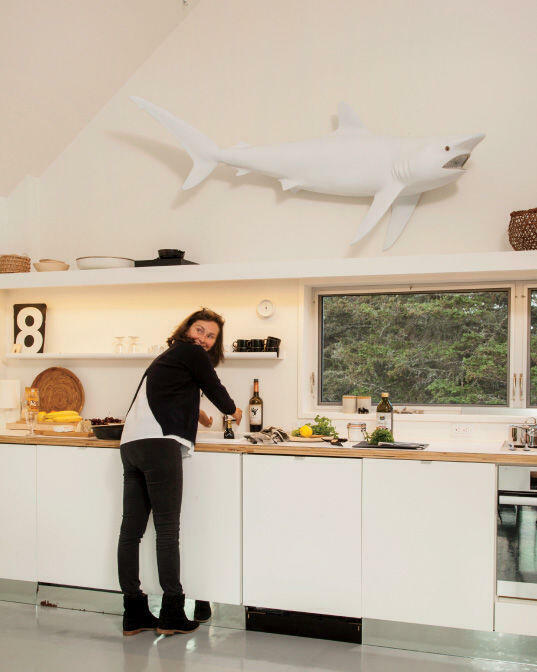 Little House on the Ferry is seasonal guesthouse comprised of three micro cabins connected by a web of outdoor decks on Vinalhaven, a historic island off the coast of Maine in Penobscot Bay. 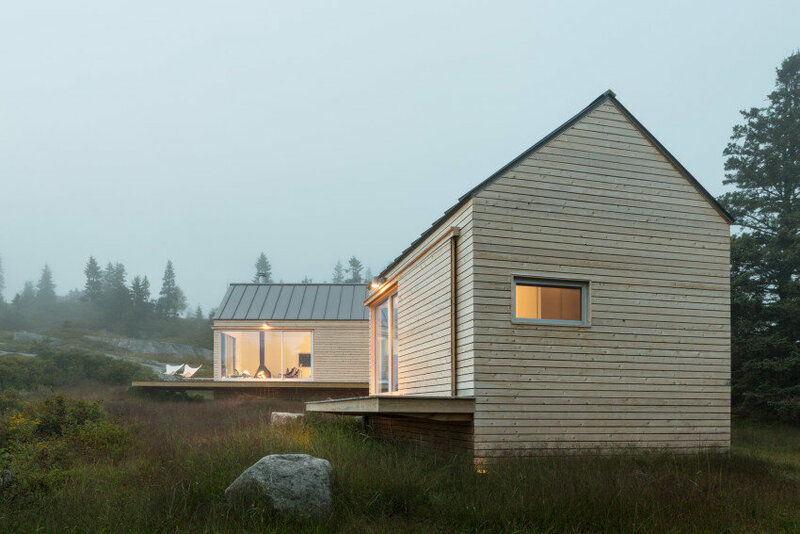 The small cabins, built utilizing cross-laminated timber panels (CLTs), hover on piers above a former quarry. 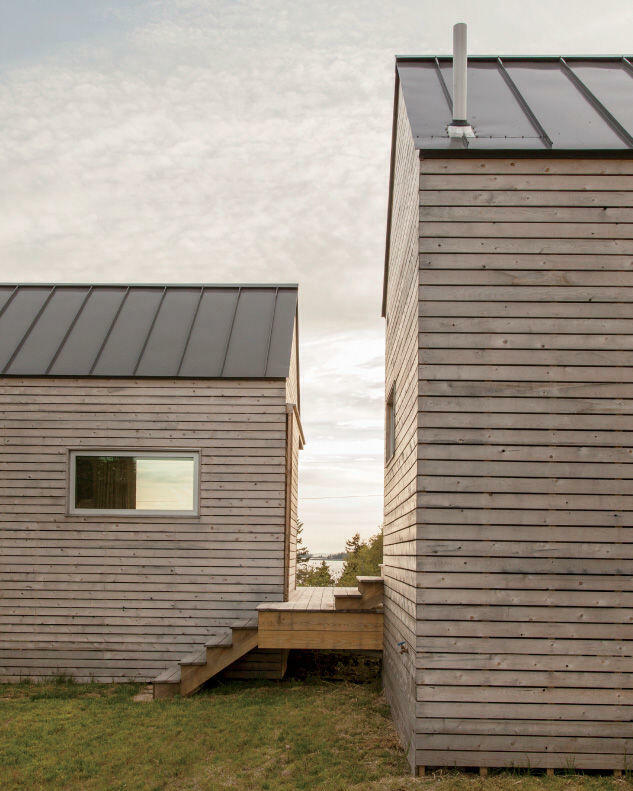 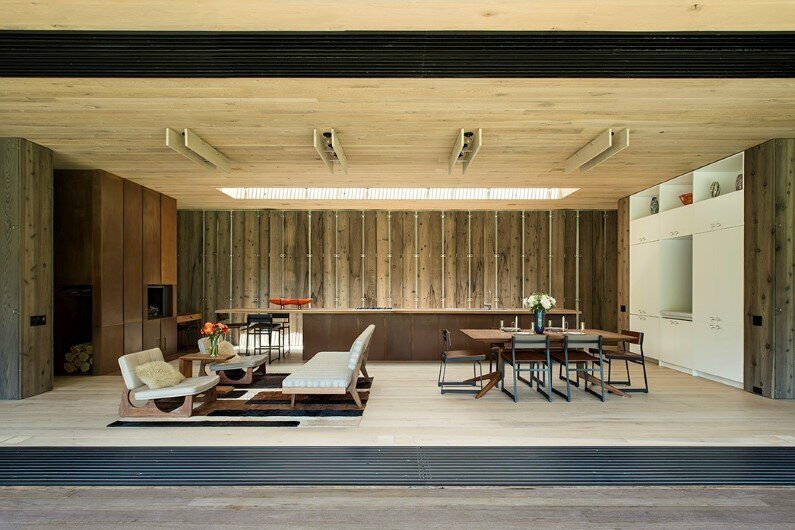 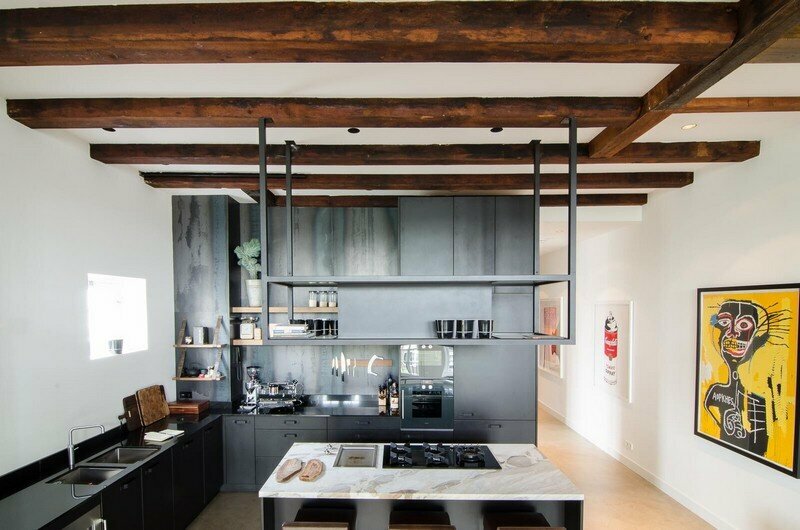 Floors, walls, and roofs are constructed of cross-laminated timber milled from black spruce and pre-cut to size. 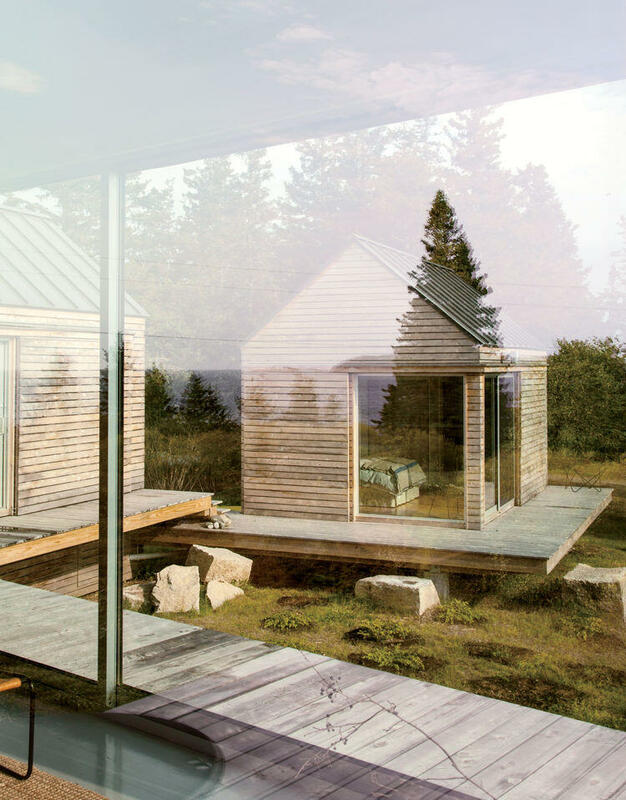 This system minimized work on the fragile site, as pieces easily could be assembled in place. 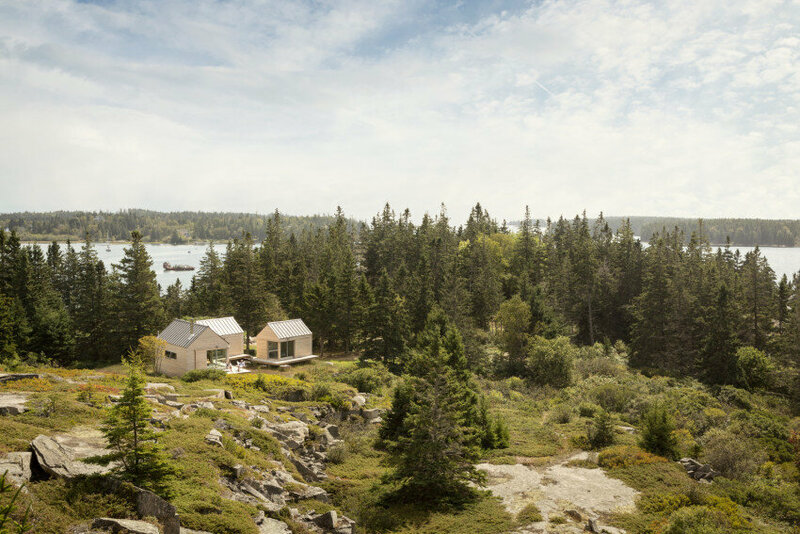 This summer retreat approach has minimized the impact of the building construction on the delicate recovering vegetation in the quarry. 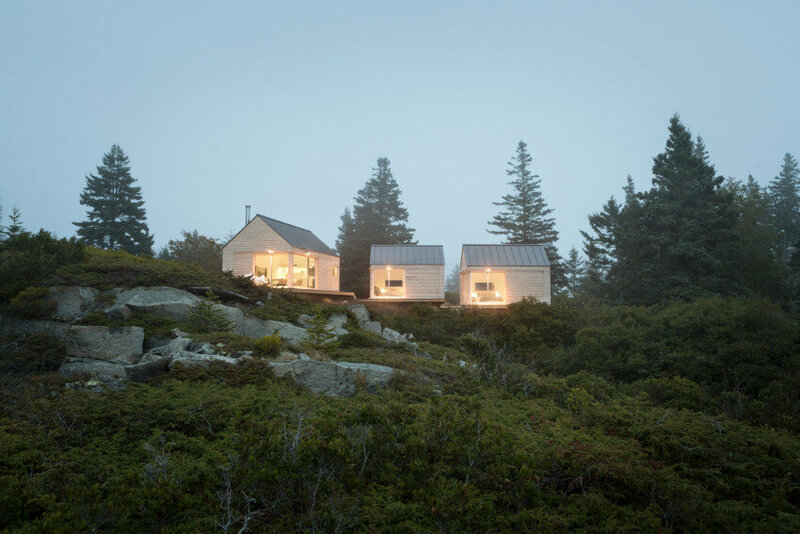 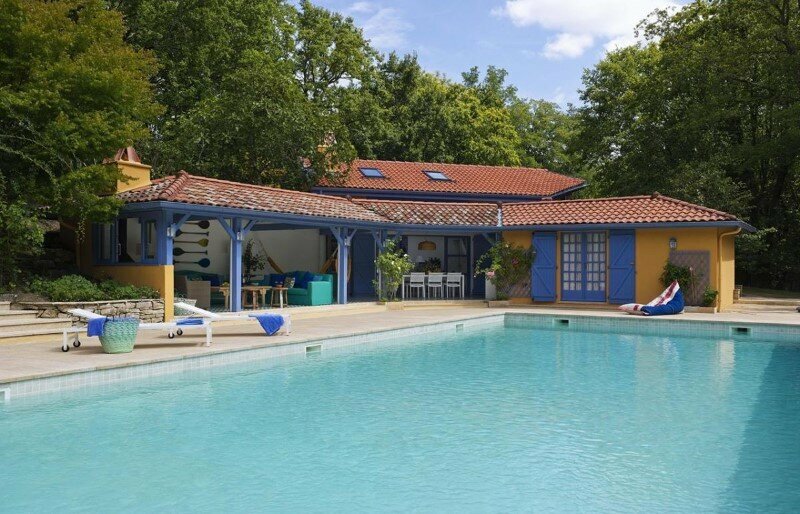 The cabins are comprised of a living and dining cabin and two separate sleeping cabins, each with a bedroom and bathroom. 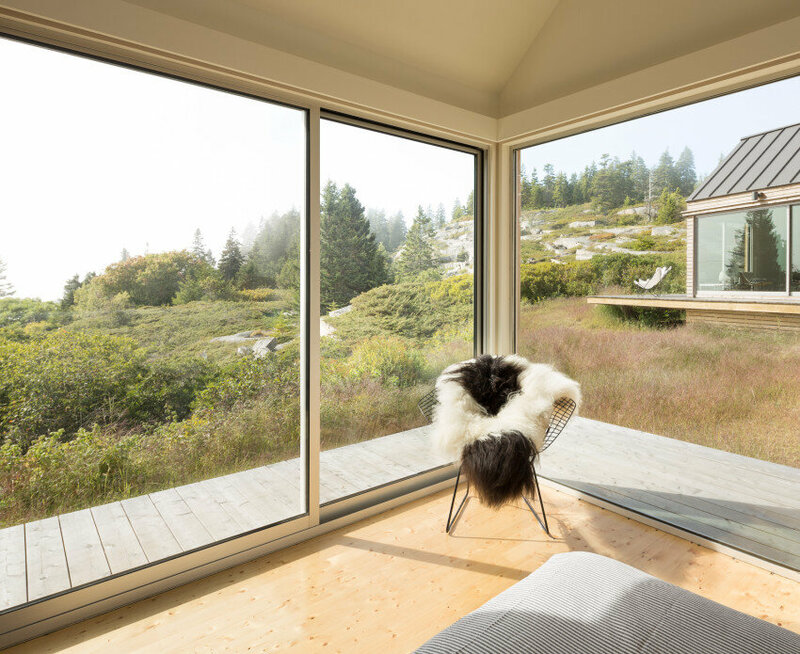 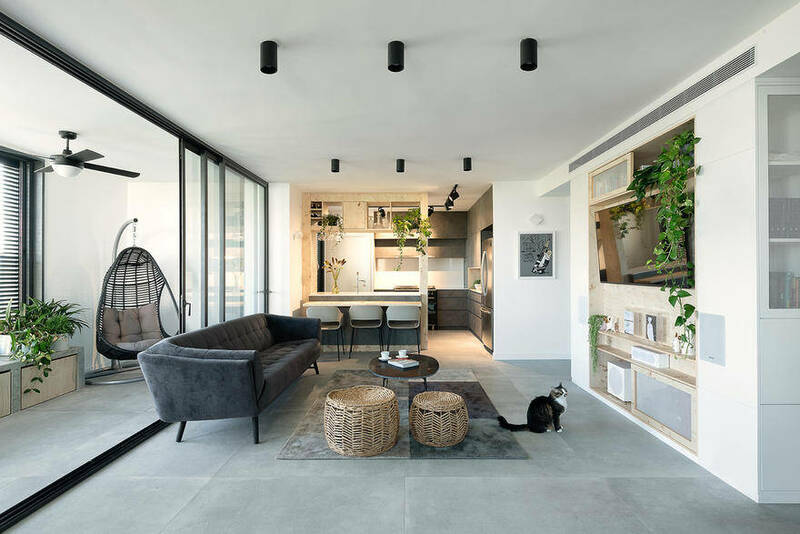 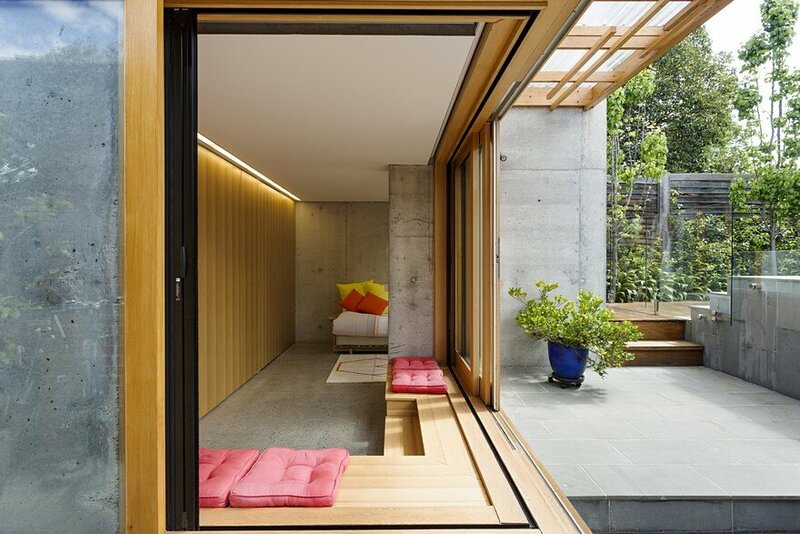 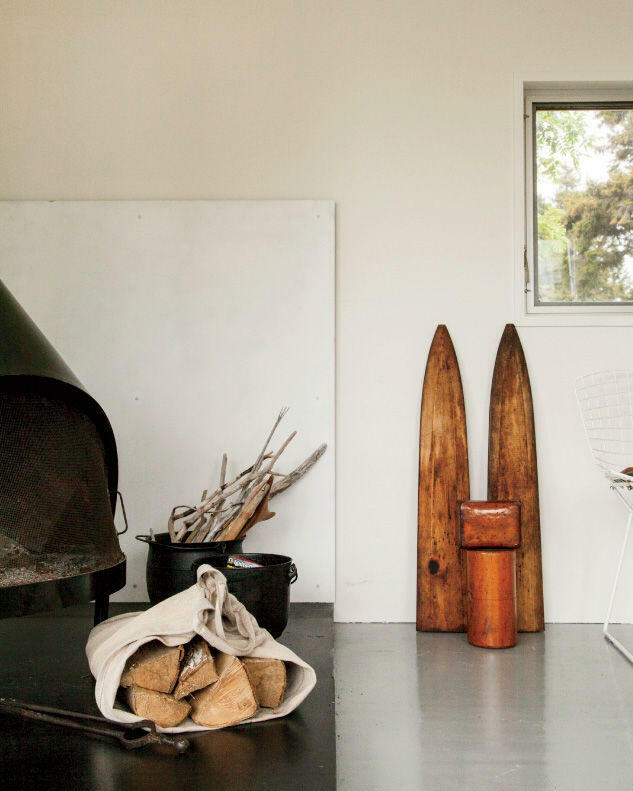 Together, this small cluster creates a series of intimate and private spaces with strong visual connections to the landscape. 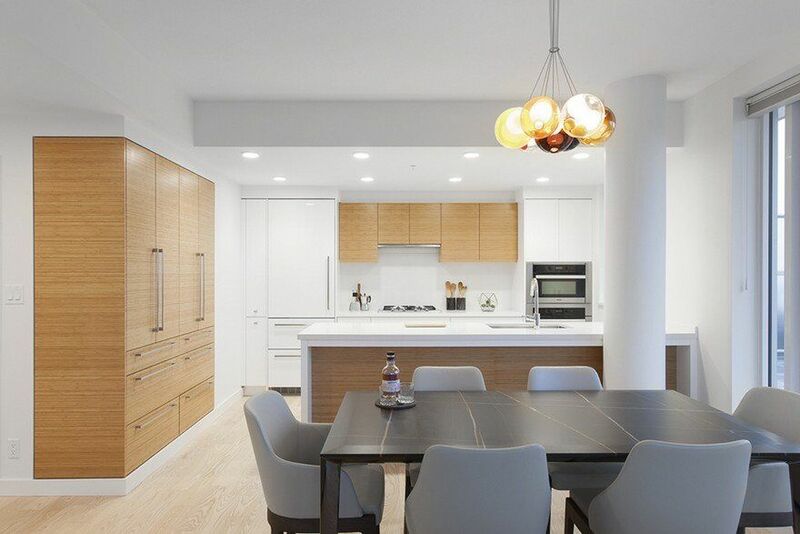 House square footage: 890 sq.ft.